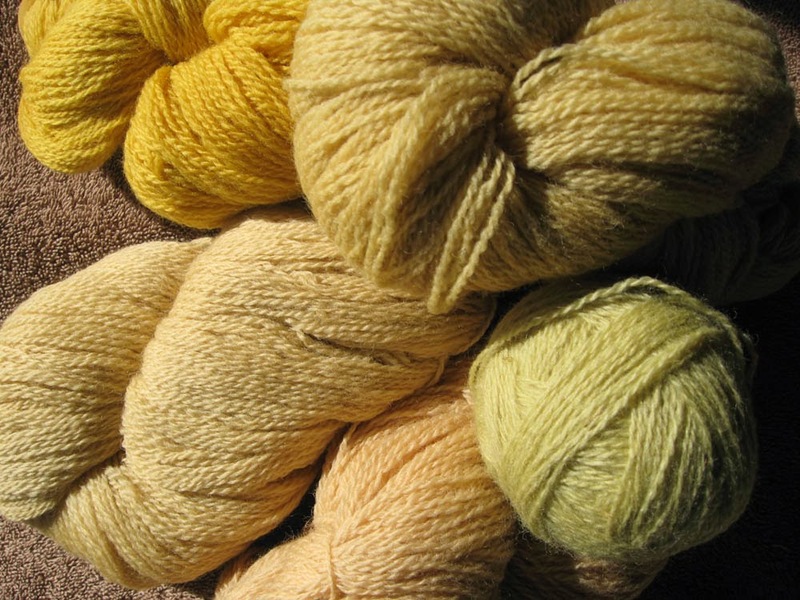 Wool yarn colored with dyes from California native plants. 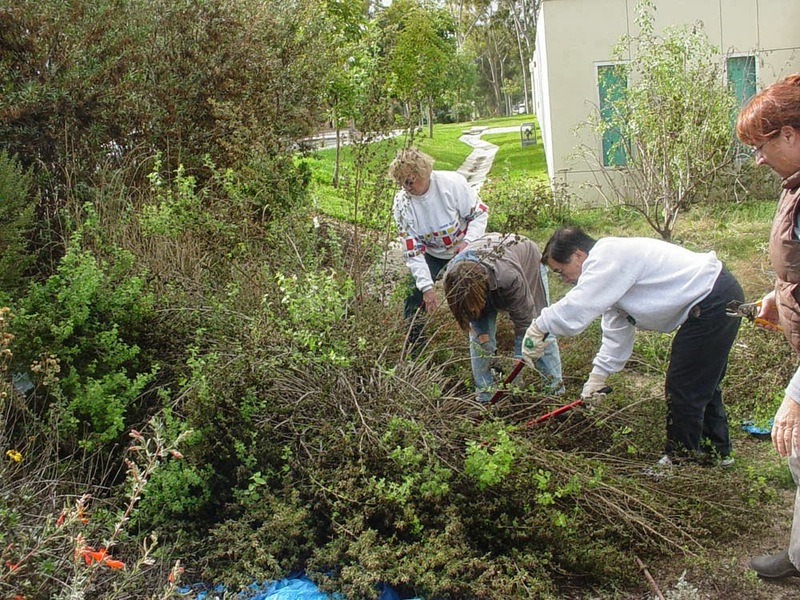 October and November are important pruning months for California native plants. 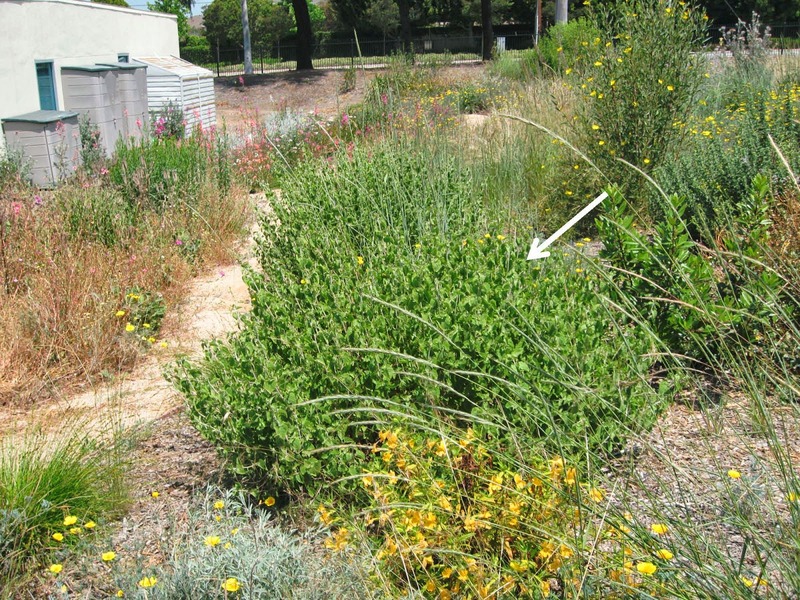 While some large shrubs are best pruned in summer, many local natives are cut back during their brief fall dormancy (see ‘Pruning Common Native Plants’ – November 2012, for more on pruning). Fall pruning can produce lots of trimmings, even in a small garden. These trimmings can be composted or chipped to provide mulch. But they can also be used for some great garden crafts. Colors obtained from California native plants can be extraordinary. The foliage and flowers of many plants produce lovely shades of tans, yellows and oranges. 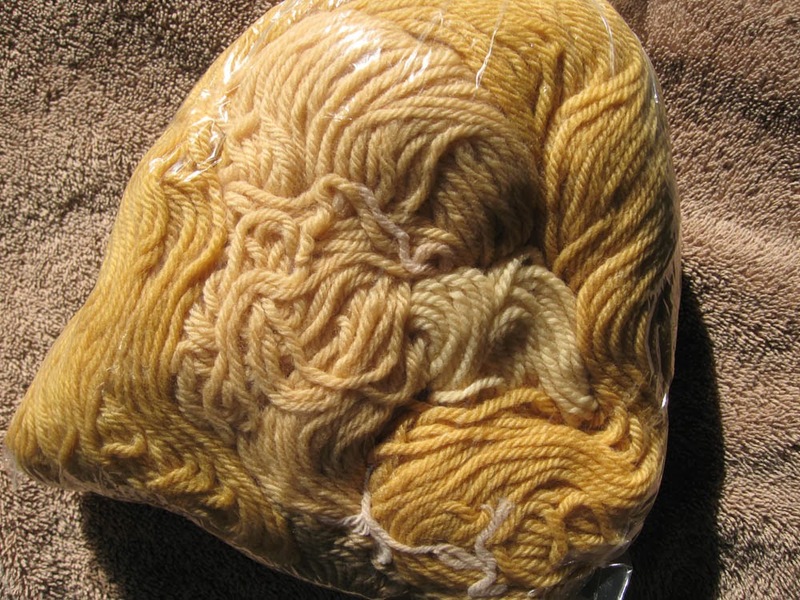 Depending on the amount of plant material used, you can obtain lovely pastel to medium shades with solar dyeing. Others native dye plants produce beautiful red-browns and browns. Very few native plants (anywhere in the world) produce blue colored dyes in appreciable amounts. And other colors, like some pinks and purples, fade in time, particularly when exposed to light. Leaves, small branches and some flowers are the easiest materials to use for solar dyeing. We’ve prepared a table of some easy-to-use dye plants native to California. The table gives hints on how to extract the most dye from each source. You can access the table at: http://www.slideshare.net/cvadheim/easy-natural-dye-sources-from-ca-table. The plants in the table are commonly used in California gardens. If you don’t grow them yourself, we suggest you contact local native plant gardens and nature preserves. Many of them do extensive fall pruning and produce lots of trimmings. Contact the garden or preserve to ask if you can have some. Or contact other home gardeners who may have trimmings to spare. Never collect dye plants in the wild; in most places, these plants need to be protected, not collected. 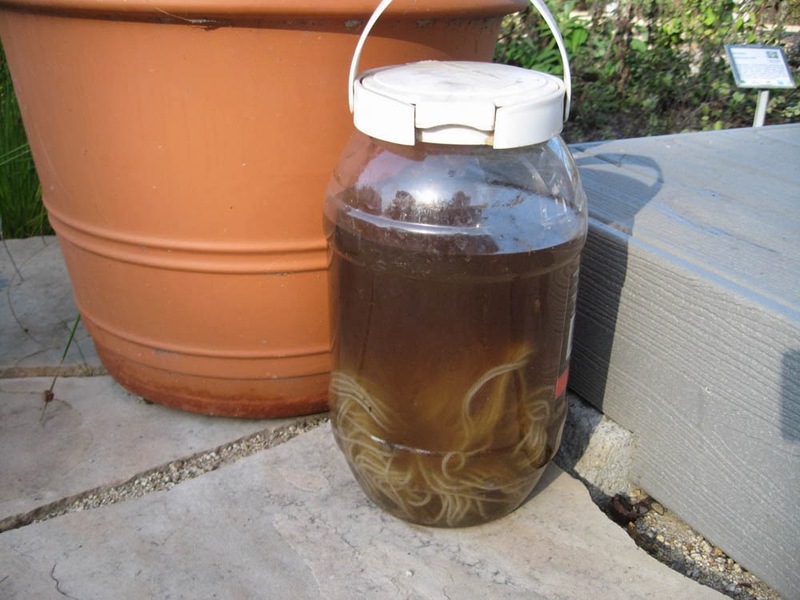 If you live in Southern California, you may want to visit our October/November natural dye workshops and demonstrations at Mother Nature’s Backyard (see calendar page for details). 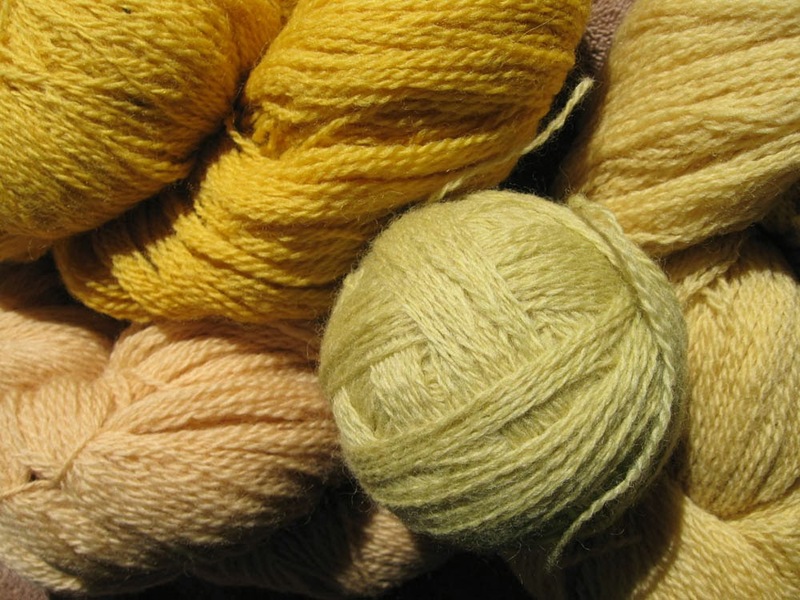 Each November, several local artists/crafts-persons display their work and answer questions about natural dyes. It’s a great way to learn more about dye craft, meet local fiber artists and get inspired to try something new. We also unveil the results of our solar dye ‘mystery jar’ (see photo above for the 2013 ‘mystery jar’). Fall is the season when certain plants in the Sunflower family reign supreme. With their bright flowers and sweet or pungent fragrances they brighten a garden that’s otherwise dormant. They also provide important fall habitat for pollinator insects including native bees, pollinator flies, butterflies and moths. 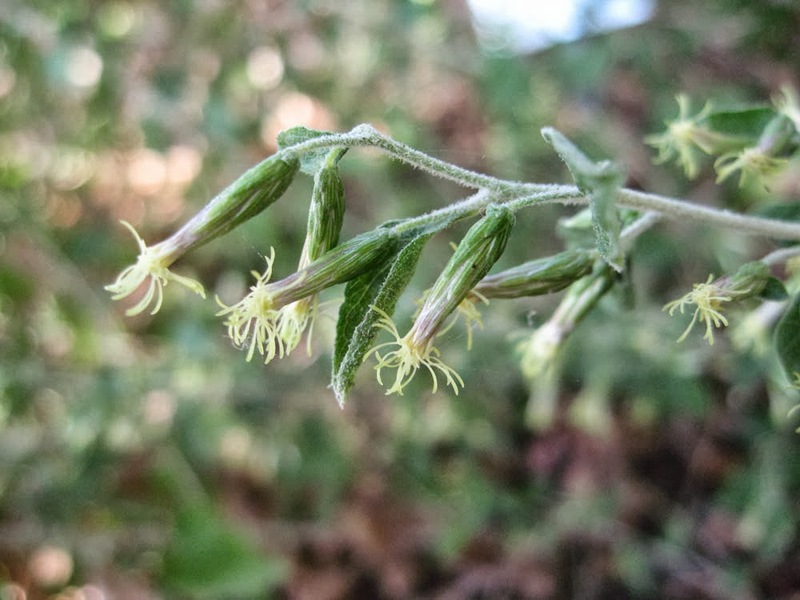 One fall-blooming ‘Sunflower’ is the California Brickellbush - Brickellia californica. It’s been blooming in Mother Nature’s Backyard since mid-September. The Brickellbushes (genus Brickellia) are a group of around 100 species native to the Americas (North, Central and South America). They are named for Dr. John Brickell (1749-1809), a physician and naturalist who immigrated to the U.S. from Ireland. Most are woody shrubs or sub-shrubs and many are known for their aroma – either good or bad! Many have a history of medicinal use and also serve as larval food sources for certain species of moths and butterflies. Despite its name, Brickellia californica is native to much of western North America from southern Idaho and Wyoming south to Texas and Northern Mexico and west to the Pacific Ocean. In California, it can be found growing on dry slopes and in canyons under 8000 ft. elevation from northern California to Baja. 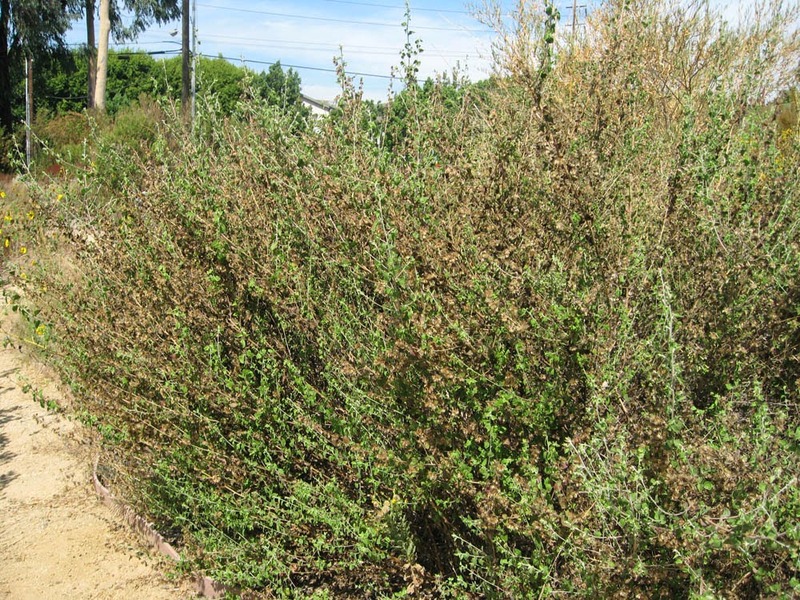 In general, sites supporting California Brickellbush are dry in summer but receive a little extra water in winter. In warmer areas, the species tends to grow on more shaded, north-facing slopes. In Los Angeles County it can still be found in chaparral & coastal sage scrub on the Palos Verdes Peninsula and on the Southern Channel Islands. California Brickellbush is a woody shrub or sub-shrub. It has a mounded to sprawling form depending on light and moisture. Like California Encelia (Encelia californica), Brickellbush has multiple stems growing from a short woody trunk. Over much of its range it dies back (or is eaten back) to the woody stems in fall/winter. In spring, plants produce exuberant new growth (up to several feet in a garden setting). Pictures below show plants as they look in spring and in late summer. This species has lovely light-green foliage in spring and summer (see above). The leaves are simple, triangular in shape and covered with dense hairs and glands. 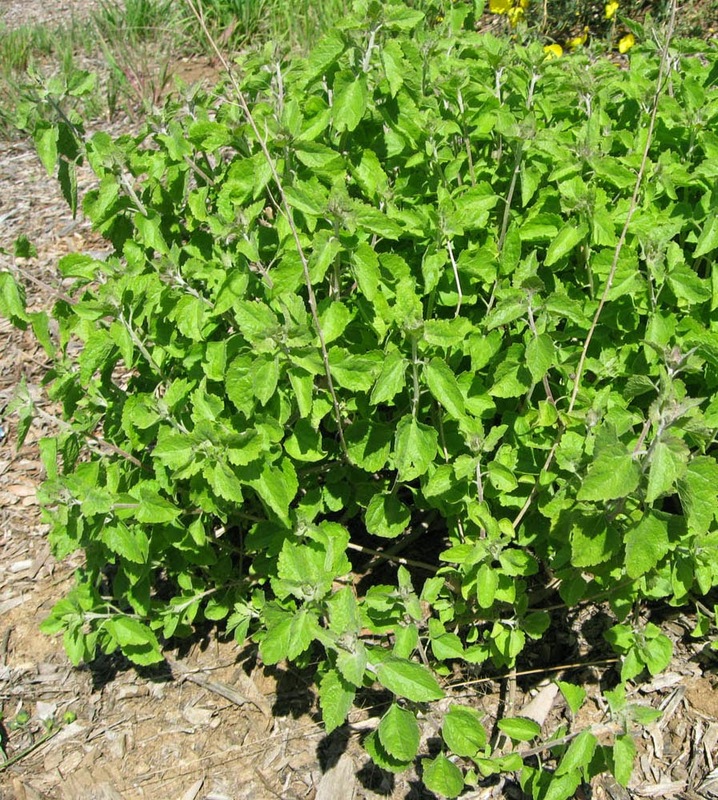 They look somewhat like mint leaves in early spring and are sticky to the touch. In dry local gardens – and at higher elevations – Brickellbushes lose most or all or their leaves in fall/winter. The young branches are white with dense hairs; older branches have papery, gray-brown shredding bark. Brickellbush blooms in summer or fall in Southern California. In local gardens (western Los Angeles County), it may start as early as August or as late as October. The bloom season lasts 2-4 weeks. The flowers are arranged in compound ‘heads’ like many species in the Sunflower family. The narrow flower clusters hang from the branches (see below). You’ll have to look closely to see the flowering heads – they aren’t showy and blend well with the foliage (see photo above). What you will notice is the sweet aroma. Brickellia californica flowers are intensely aromatic; they can literally perfume an entire garden with their unique, sweet fragrance! Interestingly, the flowers are not particularly fragrant close-up and they release their fragrance mostly at dawn and dusk. The scent is timed and formulated to attract moths, several of which are known to use California Brickellbush as an important larval (caterpillar) food source. In Arizona, New Mexico and western Texas, the plant is host to the colorful Northern Giant Flag (Tiger) Moth (Dysschema howardi). In Southern California, Brickellbush serves the same purpose for the Flower Moth Schinia buta and possibly other species. There is still much to learn about the interaction of native moth and plant species. 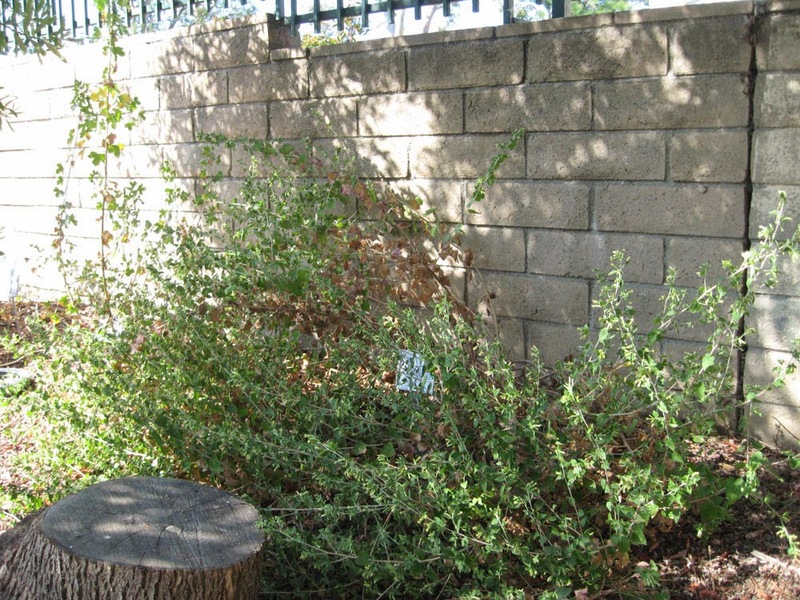 California Brickellbushes are often smaller in the wild than they are in the garden setting. In local gardens, Brickellbushes often achieve a maximum height of 3-4+ feet and width of 5-6 feet. Like other local native shrubs, Brickellbush will grow to size, even with yearly pruning (more on this later). So note the size and plant accordingly. Also, remember that this plant is fall-winter deciduous. Consider planting it with evergreen native species. Plants like full sun to part-shade – we suggest some afternoon shade in hot Southern California gardens. They can succeed in most local soils, from sandy to clay, and tolerate a range of pH from 5.0 (mildly acidic) to 8.0 (moderately alkali). Plants are quite drought tolerant once established. Water several times a month (up to weekly) the first summer; they can then survive on less. In local gardens, Brickellbushes are sometimes watered occasionally (Water Zone 2) or very occasionally in summer to keep then green longer. Withhold water after August to promote plant health. Brickellbushes are quite easy to grow. They will survive 10-15 years or more in many gardens. They need no fertilizer, thriving in nutrient poor soils. Like the California Encelia, they do benefit from fall pruning. Remember, in the wild this plant is eaten down each fall by deer, rabbits and other herbivores. So Brickelbushes are programmed to compensate for being ‘pruned’. 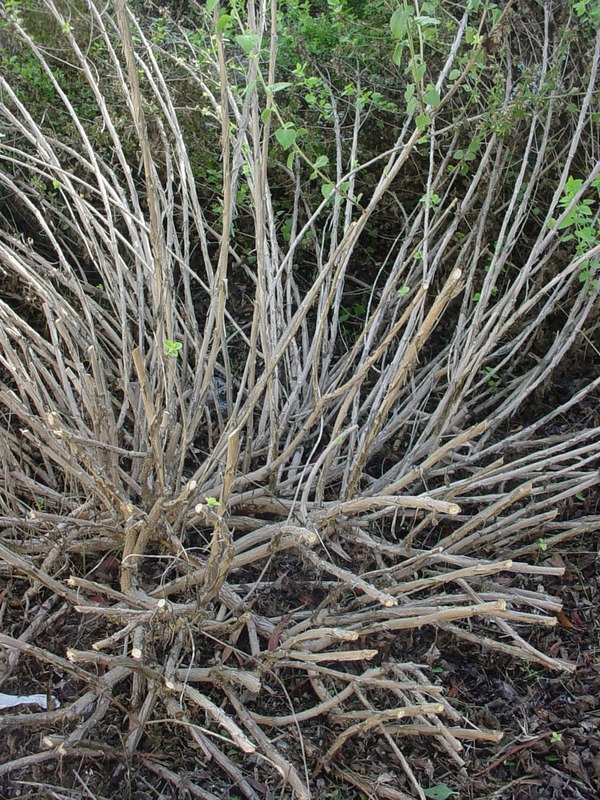 In Mother Nature’s Backyard we plan to prune our Brickellbush each fall back to about 8-10 inch branches (see below). We’ve found that this works well in other local gardens. According to the Theodore Payne Foundation, Theodore Payne first introduced California Brickellbush into the nursery trade. There are many reasons to include Brickellia californica in a home garden. It can be argued that no local scent garden is complete without a Brickellbush. Gardeners also plant this species for its habitat value. In addition to providing moth larval food, the Brickellbush attracts a number of insect pollinators including native bees, pollinator flies, butterflies and others. The shrub provides cover for birds, lizards and other ground-dwelling creatures. Some birds also eat the small seeds. 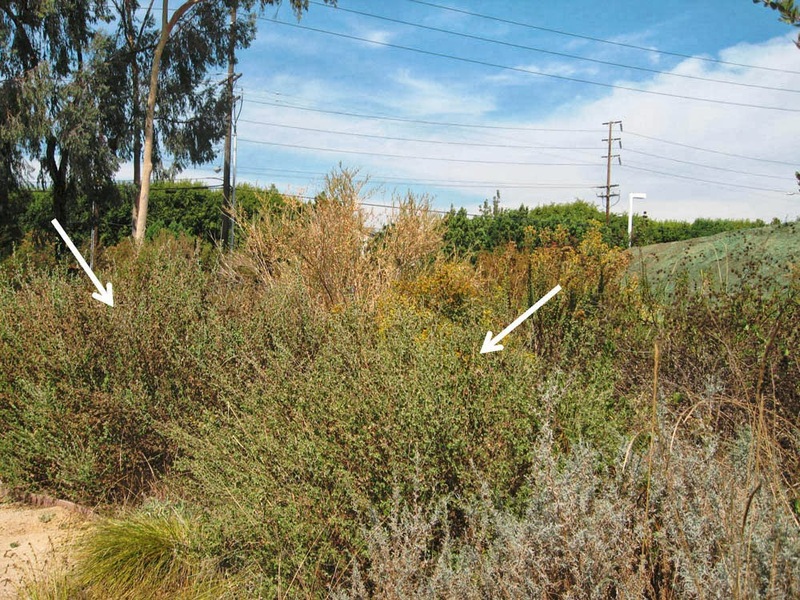 California Brickellbush has a history of use as a medicinal plant. The leaves were brewed into a tea or wash for coughs, fevers and skin sores. Some plants in this genus have also been used to lower blood sugar levels in Type 2 diabetic patients. It’s becoming appreciated that Brickellbushes produce a wide range of interesting plant chemicals. It wouldn’t surprise us if some ultimately find a place in ‘modern medicine’.